It also provides a unique platform for sourcing goods and services in the fields of ICT, health and wellbeing, HR, education, public works, roads and transport, security, emergency services and finance. 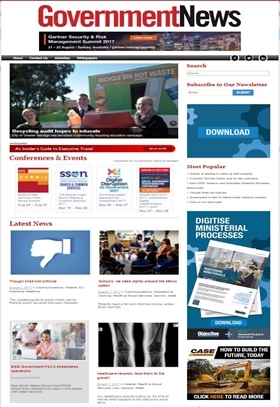 Government News‘ role as an information exchange is also greatly enhanced with a free e-newsletter sent twice weekly to all tiers of government. The publication is essential reading for government decision makers at local, state and federal levels – including CEOs, department heads, CIOs and purchasing and procurement officers.